This release fixes issues that were affecting Google Spreadsheet, Blogger, and GMail users. The “no writing mistakes were found” dialog is now optional. Go to the AtD options page to disable it. Go to chrome://extensions/ and click Update Extensions Now. The smarts behind After the Deadline is our open source software service. This is the code that accepts text, checks it with cool AI algorithms, and spits out XML containing spelling errors, grammar errors, and suggestions. This code, with the TinyMCE and jQuery plugins, allows you to integrate After the Deadline checking into your web applications. Added a low-memory mode to run AtD. Now you no longer need a super-computer to run AtD. The low-memory mode loads (and discards) parts of the language model as needed. The trade-off, it’s a little slower and probably won’t scale to hundreds of thousands of clients per day. The option to run AtD in full-bore production mode still exists. The quality of service is the same between the two modes. Parts of the AtD service were rewritten to allow AtD to run on Windows out of the box. I’ve also added a run-lowmem.bat file that starts the AtD service in low-memory mode on Windows. 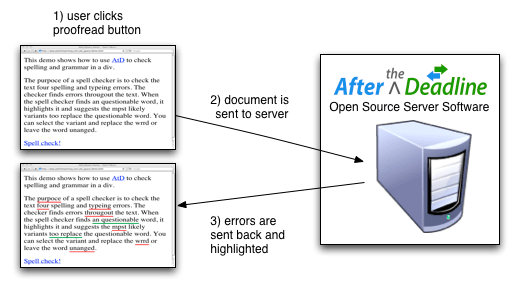 This update to the service supports the /checkGrammar API call that AtD for OpenOffice.org relies on. This call performs all checks except spelling. Why? 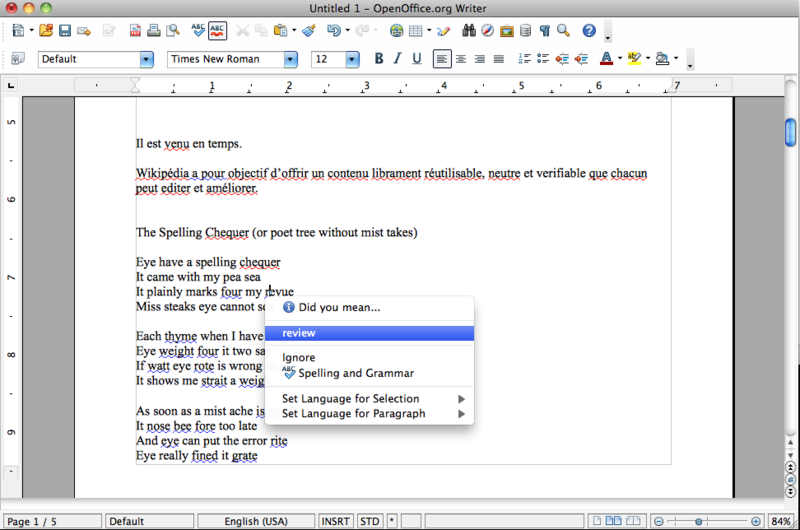 Because the spelling corrector is the slowest part of AtD. By eliminating it, it’s possible to do as-you-type grammar checking for a lot of people. Of course this update has more grammar checks, an updated dictionary, and other enhancements that come from my maintenance of After the Deadline. You can view the commit to see the differences. You can download the latest packages at http://open.afterthedeadline.com or do an svn update . 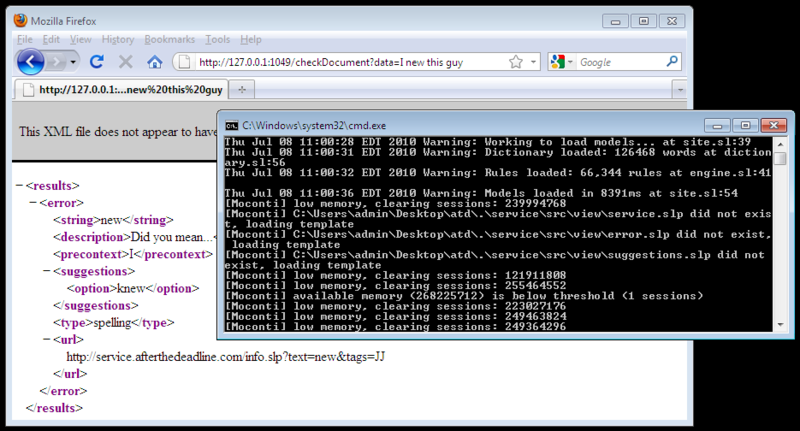 if you checked the code out from http://openatd.svn.wordpress.org/atd-server.